You all know how much I love my beauty routines. I love finding products that fit seamlessly into my day and make my life easier. My beauty routine needs to be simple and effective. 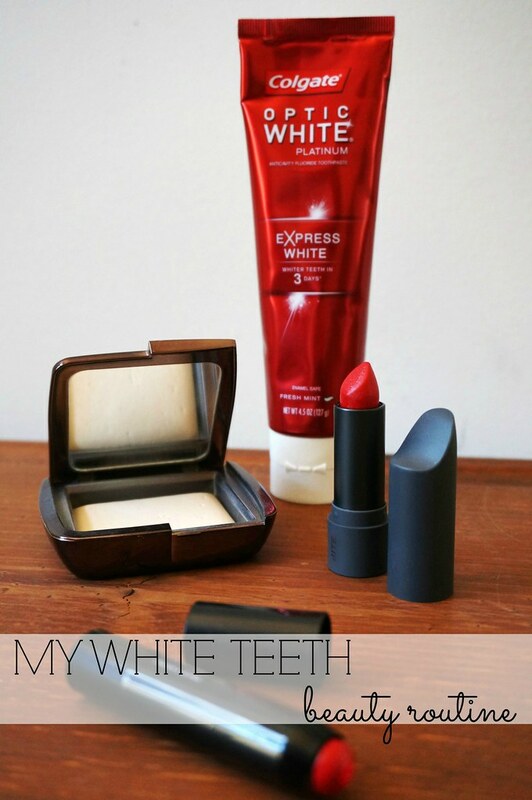 Today I want to talk about my white teeth routine. I want perfectly white teeth, but I really don’t care to fuss over them. I have a few products that make my skin, lips, and teeth all look flawless. I like to eliminate any redness in my skin with my face powder. 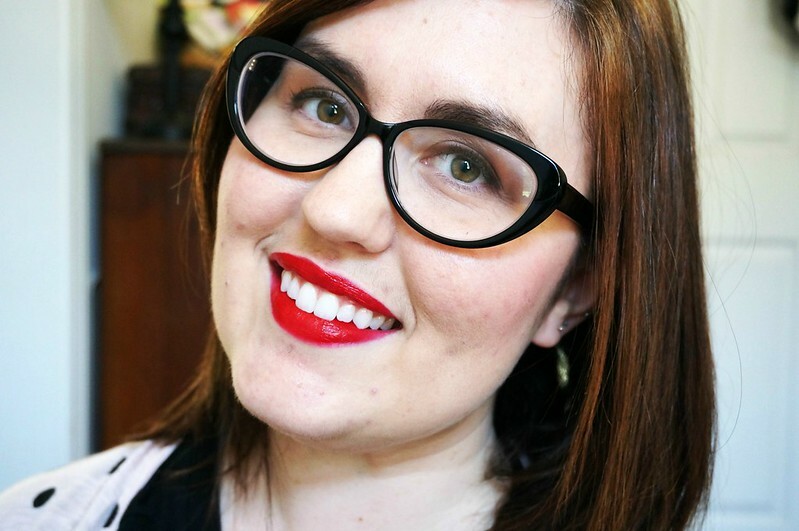 Red lipstick helps your teeth look more white, and these are two of my favorites. Makeup products are great for helping your teeth look white, but it’s even better when my teeth look white on their own. 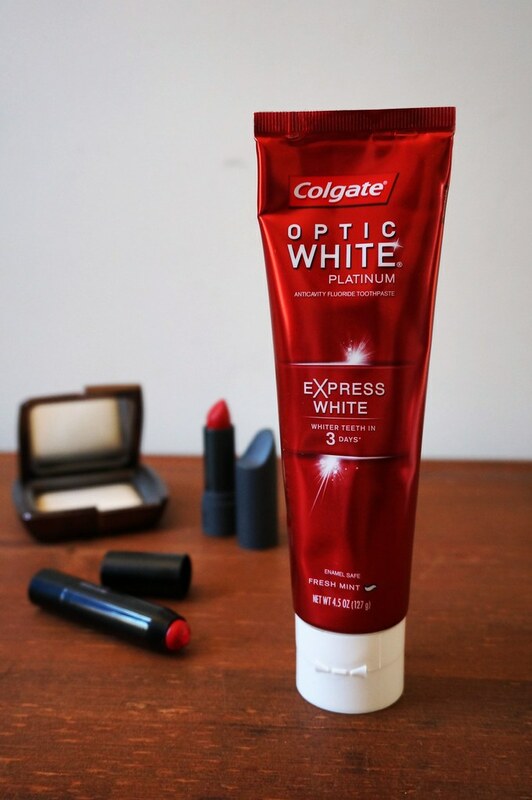 I use the Colgate® Optic White® Express White Toothpaste. It fits seamlessly into my day, since I’m brushing my teeth anyways. And when you start using it, you will see results within three days*. That’s the kind of product I love! Fast and effective! It contains two times more of the professionally recommended hydrogen peroxide than their Optic White® Sparkling Mint Toothpaste. It is far less hassle than other methods of whitening. 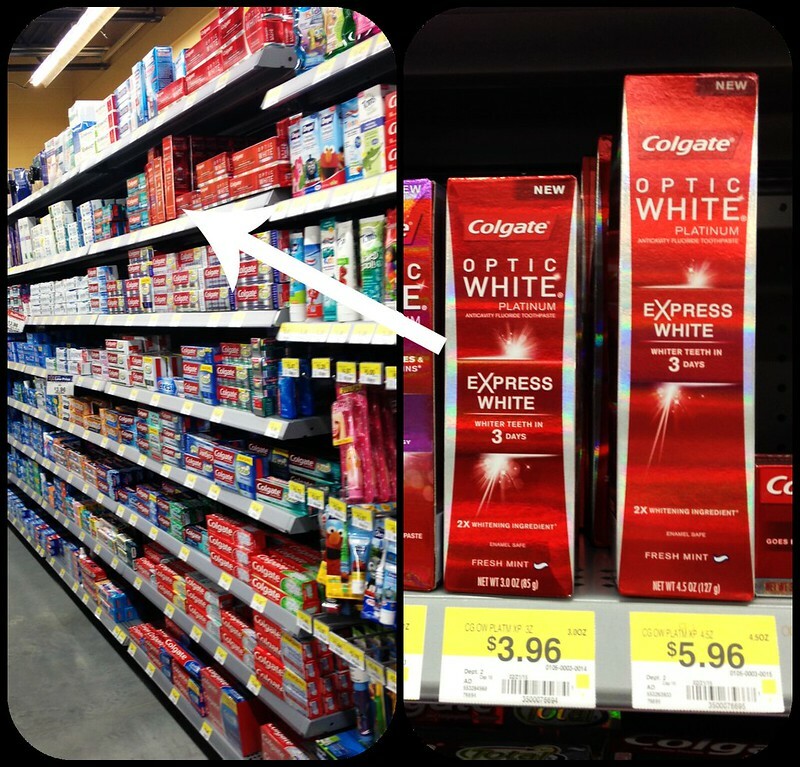 I purchase my Colgate® Optic White® Express White Toothpaste at Walmart, where they carry two different sizes. Starting March 14, they will be stocking a trial size. So, if you want to try it out, look out for that! Tell me what you use to whiten your teeth! What would whiter teeth in just three days mean for you?